LA Nutraceuticals are engaged in manufacture, supply, and export of a wide array of Nutraceuticals Products including Aloe vera juice. 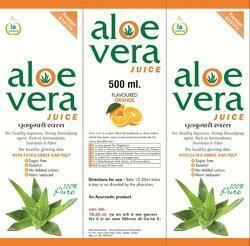 Aloe vera juice is a cocktail of more than 200 active compounds, 20 minerals, 18 amino acids & 12 vitamins. Useful for diabetes, arthritis, skin diseases, ulcers, gas problems, blood pressure, anti aging, asthma, obesity, stress, antibacterial and anti inflammatory problems. USAGE: 30 ml twice a day (Morning & Evening) half an hour before food with water or Fruit juice.